We love when famous people we love love other famous people we love, ya dig? So when we read that Donald Glover decided to write TV because of Tina Fey, we were all aflutter. 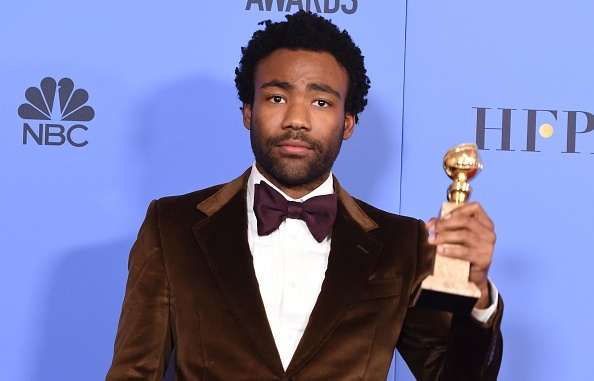 It’s extra adorable when you consider that Donald Glover started writing for 30 Rock straight out of college — which, first of all, BRO how did you do that, but second of all, means that Donald Glover’s first experience in the entertainment industry under Tina Fey’s wing inspired him to carry on with it. As anybody in the entertainment industry will tell you, veeeeery few of us are so lucky to start off working for somebody like Tina Fey. Most of us start off working for somebody like Miranda Priestley. In an interview with Wired, when asked what made him want to start writing for television, Donald’s answer was super sweet and candid. In addition to being impressed that Donald Glover’s first ~boss~ was a totally wonderful, generally decent badass like Tina Fey, we’re also impressed that Tina Fey is so happy. Honestly, the lady has a million and one things she’s juggling at any one time, and none of them are easy. As people in entertainment will ALSO tell you, it can be a grind, and that grind frequently grinds people down into crabby, bitter cynics. We love that Donald Glover has such a great role model in Tina Fey AND to hear that we’re totally valid in admiring Tina Fey. And, obvi, Donald Glover. Keep being awesome, guys.